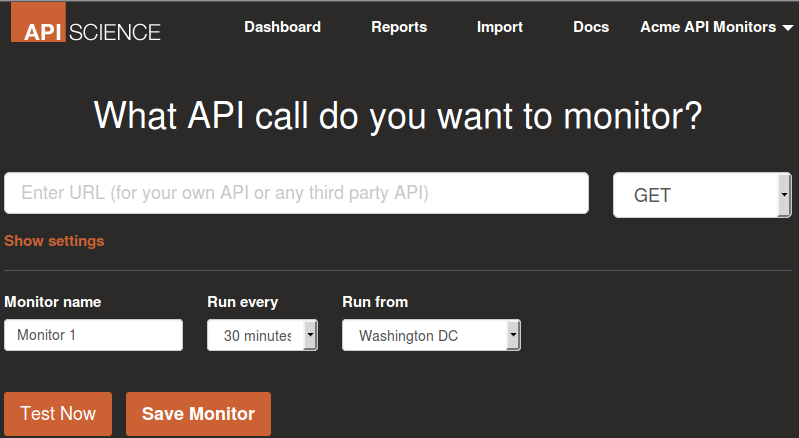 One of the unique features of the API Science platform is the capability to create multi-step API monitors, wherein multiple API calls are chained together into a single monitor. If your product requires multiple API calls in order to produce the result you deliver to your customer, you could create a collection of standard single-call monitors. This will provide useful information. However, a multi-step monitor that replicates a typical calling sequence based on a user’s button click may provide an improved representation of your product’s chained latency, performance, and historical uptime. In my post Creating Your First API Science API Monitor, we used the World Bank’s Countries API to create a monitor that checks the performance and uptime of calls to get the information for Brazil. But, what if your product requires the World Bank’s information for the so-called BRIC nations (Brazil, Russia, India, China)? 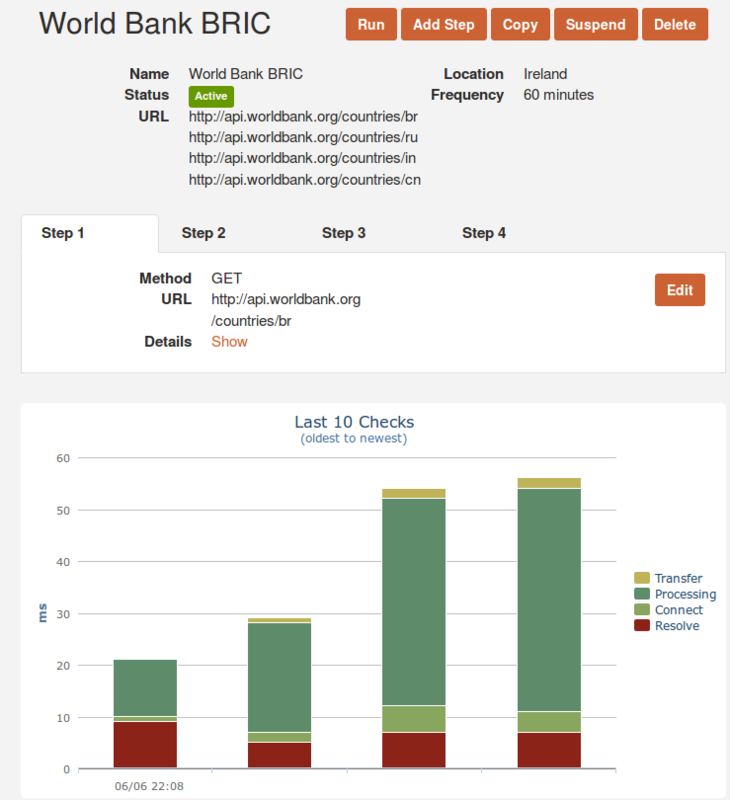 The checks took longer to complete as we added API calls for more countries. 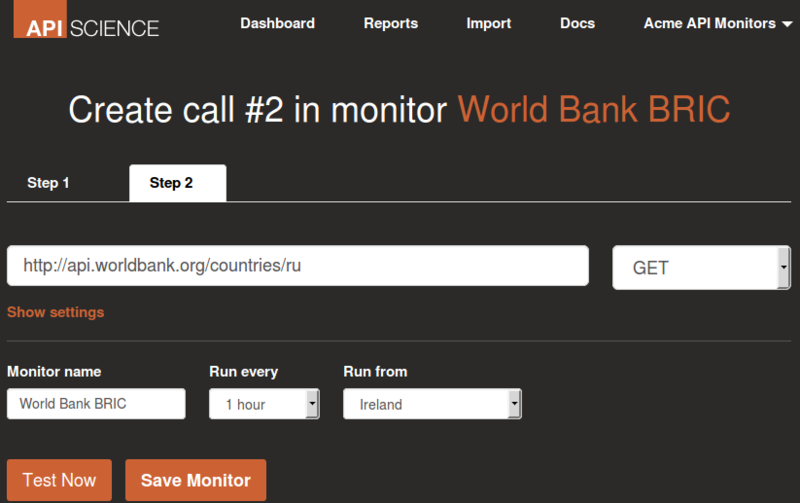 Now, we’ve created an API monitor that measures the performance of chained calls to the World Bank Countries API to obtain the information for the BRIC nations. This is different information from what you’d have if you configured four separate monitors measuring the performance and uptime of calls for the individual countries. 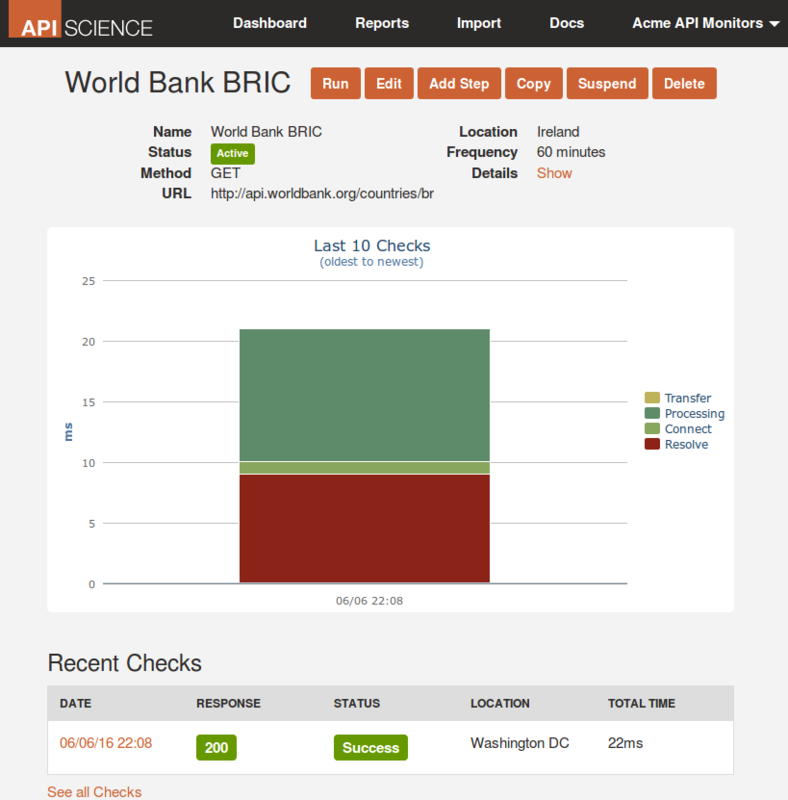 If your product presents the information for the BRIC nations, you need to know the cumulative performance and uptime of the full sequence of calls to the World Bank Countries API. API Science’s multi-step API monitoring facility uniquely provides this capability. API Monitoring, Getting Started, Multi-Step Monitoring. permalink. What Do Curl Timings Mean?